A successful business is one that is always showing a profit. It stays fresh and keeps the customers not only interested in what it has to offer, but satisfied at the same time. This is the key to success. We can help with part of that equation but keeping your building looking fresh. We do this by giving it a fresh coat of paint, even changing the color scheme if that is what you are looking for. We can handle all Chandler, AZ interior and exterior painting no matter how big the building might be. We can help you provide the fresh look for your customers, and keep your business flowing. We can even go over different color schemes with you so you will have an idea of what it will look like. We not only take care of the interior and exterior painting but any mess that happens throughout the process, so you will never have to clean up after us. But we don't just handle businesses, we also handle Chandler, AZ interior and exterior painting for homes as well. We can help you get a fresh look on your home, giving it new life as well. It would be like coming home to a new house, no matter how long you have lived there. 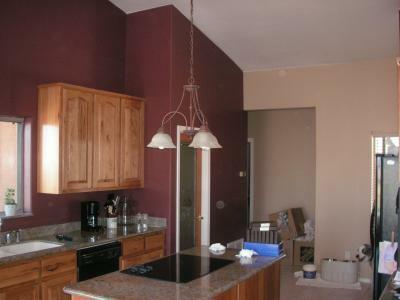 Our painters are the best in the business and can handle all types of interior and exterior painting. This includes the molding, gutters, and even any small minor cosmetic fixes along the way. If there is a painting issue in your home or business, no matter where it might be, we take care of it. We can even give you an estimate up front so you will be able to plan your new fresh look.